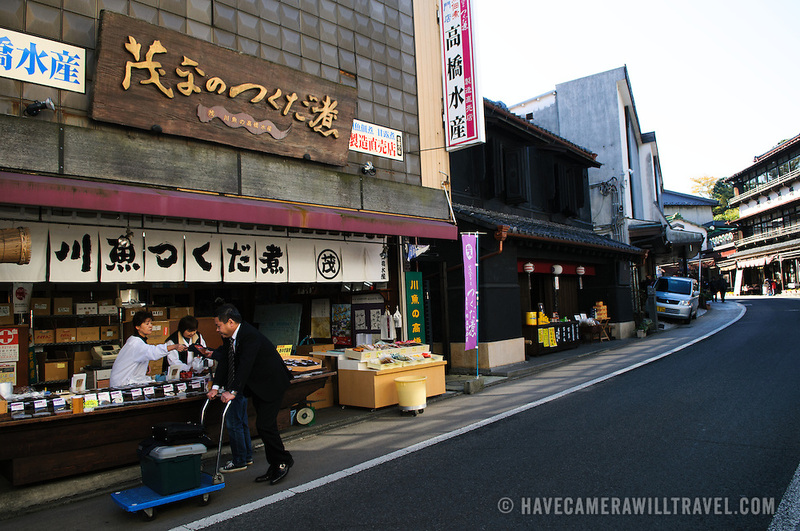 Street at Narita, Japan, near the Naritasan temple complex. The street is lined with shops and restaurants. Naritasan is a popular tourist attraction for people who have a long layover at the nearby Narita International Airport, which serves Tokyo.